And the changes keep coming. Among this year’s winners, handpicked by InfoWorld editors and product reviewers, you’ll find a number of “traditional” names: Cisco, IBM, Microsoft, Red Hat. But you’ll also find the names of more open source projects than we’ve ever seen in the Technology of the Year winner’s circle, thanks to the huge role open source has come to play in software development, data center (and cloud) infrastructure, and big data analytics. Docker, Kubernetes, Mesos, Spark -- these are only a few of this year’s winners from the open source camp. In one way or another, each brings something new to the enterprise. Docker’s clever take on Linux containers was so popular with developers, it became a standard even Microsoft sought fit to adopt. Kubernetes brings Google’s cloud-tested technology for container management to the rest of us, while Mesos -- the U.C. Berkeley AMPLab project that gave birth to Spark -- offers an elegant solution to cluster resource management. Meanwhile Spark, the fast-rising framework for doing distributed data processing in memory, has begun to usurp the role of Hadoop even among Hadoop vendors. That’s one of the superpowers of open source -- it makes it easy for everyone to rally around something new and better. Our winning products from Cisco and IBM may not have emerged from the open source “engine of innovation,” but they’re no less groundbreaking for that. IBM’s Watson Analytics -- a cloud-based machine learning service and everyone’s favorite “Jeopardy” contestant -- may set the bar for all predictive analytics tools. Cisco’s ACI, which takes an entirely new “policy model” approach to software-defined networking, can be driven entirely through an open API, using a Python SDK you can find on GitHub. It’s not unusual for Microsoft to lead the field in wins, and it happened again this year. You won’t find Windows 10 on our list (reasons here and here), but Microsoft Office is there, along with Visual Studio and Azure App Services. It really is a new Microsoft: Office is now available in solid, capable versions across Windows, OS X, iOS, and Android, while Visual Studio and Azure App Services support all manner of cross-platform development. It’s not only a Windows and .Net world anymore. 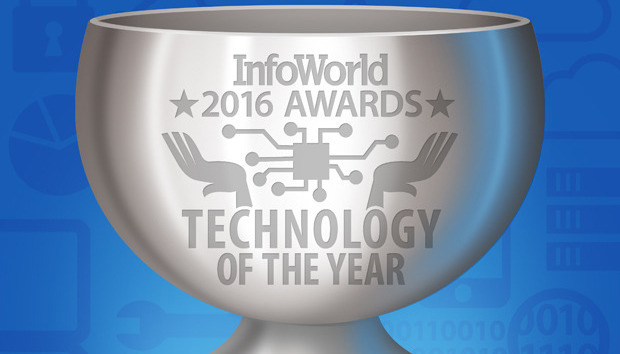 As the 31 winners of the 2016 Technology of the Year Awards illustrate, it’s a world exploding with technology options for everyone: developers, IT pros, and the businesses and users they serve. For a close look at the best platforms, tools, apps, and cloud services on the business computing landscape, dive into our slideshow.